Some South Koreans are calling it "the trial of the century." Lee Jae-yong, the de facto chief of Samsung and the country's most prominent business leader, is facing a list of charges including bribery and embezzlement. Preliminary hearings in his trial began Thursday with his legal team denying all the charges. Samsung and the Lee family have faced criminal charges and allegations of corruption in the past. 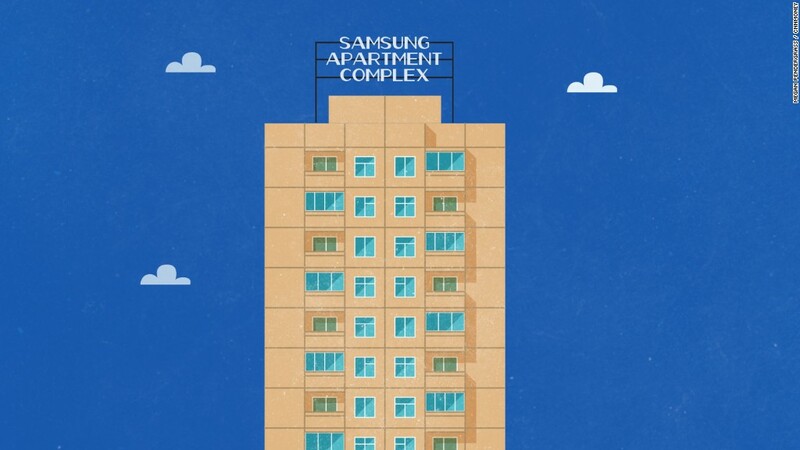 But Lee, who is also known as Jay Y. Lee, is the first Samsung boss to be arrested and put in jail ahead of a trial. Sitting atop South Korea's largest conglomerate, the Lee family is widely viewed as corporate royalty. But that's an awkward place to be right now following public anger stirred up by the corruption scandal that has engulfed Samsung, other big conglomerates and top politicians. Lee's father, Samsung Group Chairman Lee Kun-hee, was twice convicted of white collar crime, but avoided jail time thanks to a couple of presidential pardons. He is now ailing after a heart attack in 2014. The younger Lee, who has been carefully positioned as the heir, may not receive such favorable treatment. President Park Geun-Hye is embroiled in the same political corruption scandal that landed Lee in jail. Four other Samsung executives have also been charged with bribery and other crimes. Prosecutors allege that Lee, 48, pledged tens of millions of dollars to win favor with Park and secure government support for a merger that helped tighten his grip on Samsung. So far, Lee's legal woes have not slowed down Samsung Electronics (SSNLF), the crown jewel in his family's business empire. Shares in the company have shrugged off Lee's arrest last month, hitting record highs this week. The company recently showed off new gadgets, like tablets and a virtual reality viewer. And it will unveil its latest smartphone later this month, a chance to move closer to putting the debacle over its fire-prone Note 7 behind it. But Lee, vice chairman of Samsung Electronics, was never involved in the company's day-to-day operations. Like his father and grandfather before him, Lee is responsible for the sprawling company's overarching vision. If he ends up in prison, Samsung, which is sitting on a large pile of cash, could be stuck in a holding pattern for big decisions. "It's very hard to delegate a multimillion dollar investment or strategy if you're in jail," said Tony Michell, managing director of Korea Associates Business Consultancy in Seoul. If found guilty of embezzlement alone, Lee would face a minimum of five years in prison. In the short term, the lights will stay on and it will be business as usual at Samsung. "They've got a leadership team in place, a lot of decision making can still happen for a while, regardless of whether he's behind bars or not," said Bryan Ma, an analyst with research firm IDC. If Lee serves time, his family will likely retain its grip on the Samsung empire with relatively little infighting. "I don't think there will be a coup d'etat," said Geoffrey Cain, author of a forthcoming book on Samsung. Lee's sister, Lee Boo-jin, runs Samsung's Hotel Shilla affiliate, one of the world's biggest duty free retailers. South Korean media often call her "Little Lee Kun-hee," because she has a similar leadership style to her father. She could be a real candidate to take on a bigger role in the Samsung empire if her brother goes to prison, but she would probably still take direction from him. It is highly unlikely Lee will be replaced as Samsung's heir apparent, experts say. 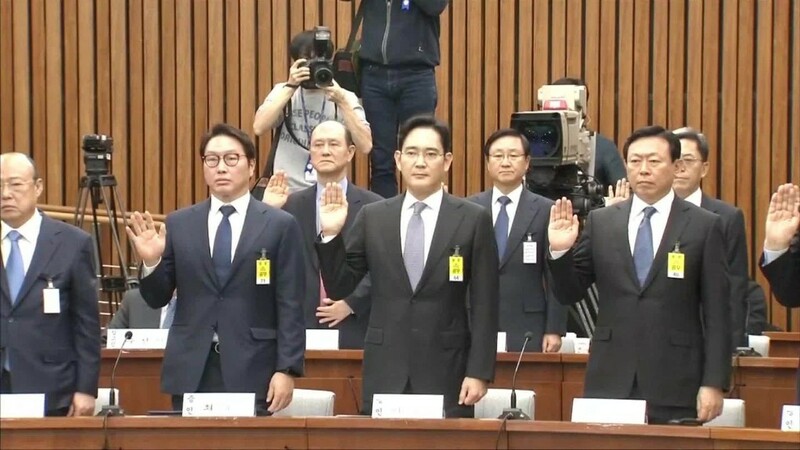 The Lee family and top Samsung officials have spent years paving the way for a father to son succession at Samsung Group. "What is happening now is not something they expected," Cain said. "But after having spent two decades trying to get Jay Lee in his position, I am sure they will do everything in their power to make sure he gets to that position."